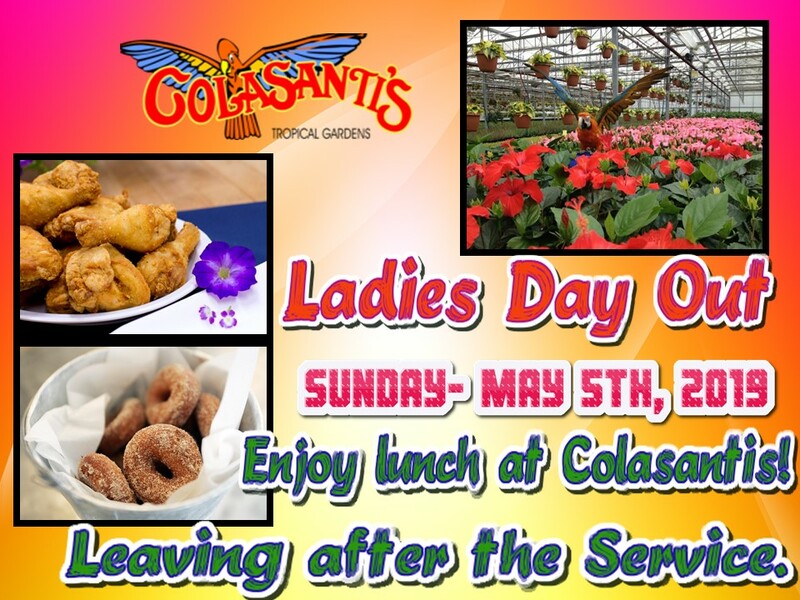 Sunday May 5th, 2019, we will be having a Ladies Day out at Colasanti’s. All ladies are welcome to join us for a great time of fun and fellowship. We will leave right after service. We appreciate you generous donations. God bless you!